From live streaming software to 4K cameras and beyond – here are the most popular posts from 2017 that resonated strongly with readers like you. There’s loads of helpful live streaming and video production info in these posts, so be sure to take a closer look if you missed them the first time! There are many options available if you’re looking to get started in live streaming. Dedicated hardware encoders, such as our Pearl-2 or Webcaster X2, are popular choices for professional livestreamers, although many choose to use encoding software installed on their computers. This post covers the huge selection of encoding software on the market today and describes the advantages and disadvantages of each. 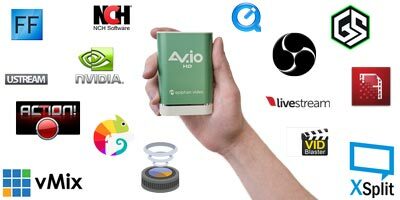 We also explain how to bring external video sources (such as an Xbox or video camera) into your computer using our portable AV.io 4K capture card. 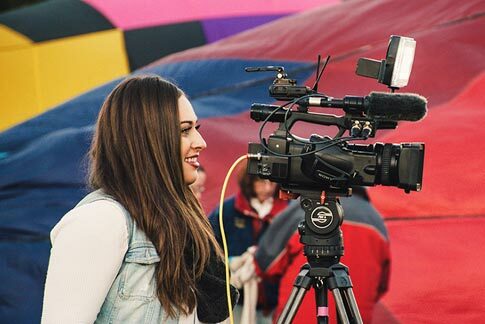 Live streaming to social platforms like Facebook Live and YouTube helps professional content creators grow their brands, engage with viewers, and create deeper relationships with fans and followers. 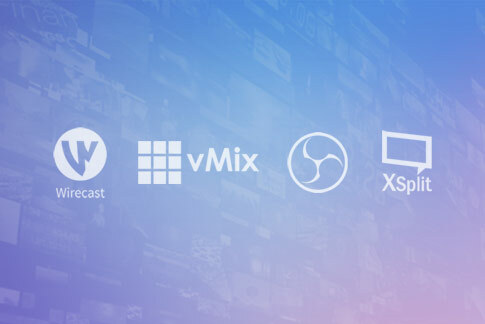 There are a few different ways you can livestream on these platforms. You can use equipment you likely already have (such as a smartphone), or can you take advantage of hardware or software encoding solutions. 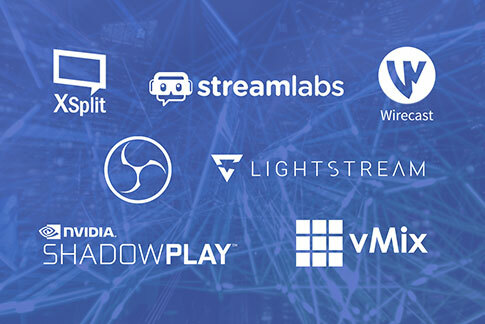 This post teaches you how to create a variety of livestream setups, from basic single-source configurations to more advanced multi-source picture-in-picture (PiP) setups with switching. 3. Live streaming upload bandwidth: how much do I need? “How much bandwidth do I need?” is one of the most common questions we get asked by customers. Even if you’re equipped with the best encoding hardware, you won’t be able to livestream successfully if you haven’t considered your network’s upload bandwidth availability. This is a very important factor because a network lacking sufficient upload bandwidth makes for a choppy and unwatchable livestream. 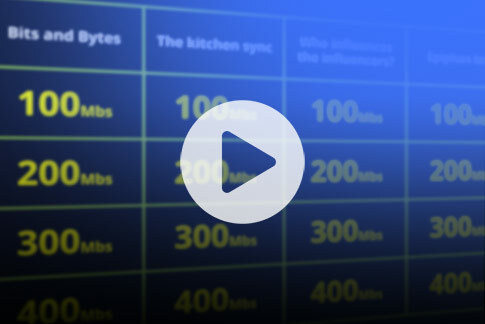 In this post you’ll learn about the impact of bitrates on your network, how to calculate upload bandwidth using a simple formula, and how to factor in different network types and ISP limitations. 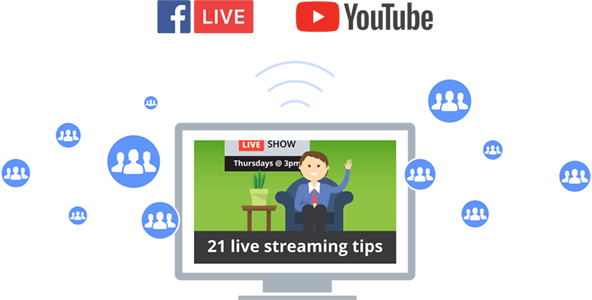 Putting together a professional and engaging livestream is easier than ever before with the use of simple and versatile streaming technology – but there is still a learning curve! Little things can make a huge difference, such as testing your stream ahead of time, ensuring backup equipment is always available, and monitoring your stream with an external display. Take our weekly live show for example. Live @ Epiphan has been running every Thursday at 3pm EST for over 8 months now, and we’ve learned a ton about running a quality livestream in that time. In this post, we share 21 essential tips we’ve learned in our livestream journey that you can implement in your own setup. 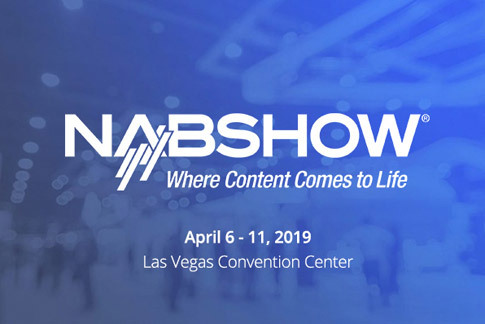 Whether you’re looking to nail down your setup/pre-show activities, create a professional-quality broadcast, or take your brand to exciting new places, you can use these helpful streaming tips to gain an edge over your online competition and grow your audience. 4K is the latest generation resolution that offers high pixel density for top-quality picture and video. And as network infrastructure and encoding technology continues to evolve, livestreaming in 4K resolution is becoming increasingly accessible. Many livestreamers are trying to future-proof their live production setups by exploring the latest in 4K camera technology. So we put together a blog post that describes our top 5 picks for 4K cameras across various types, such as camcorders, mirrorless cameras, and PTZ cameras. While there are many more 4K cameras on the market, this post provides an excellent starting point for your 4K research. Pair one of these cameras with a 4K-capable encoder, such as Pearl-2, and create stunning livestreams in the latest 4K resolution. 1440p resolution, also known as QHD, is a frame size between Full HD and 4K often seen in laptop and cell phone screens. While the future of video resolutions firmly belongs to 4K, many livestreamers and tech enthusiasts are exploring QHD for its improved picture quality at a smaller cost to computing resources and bandwidth. 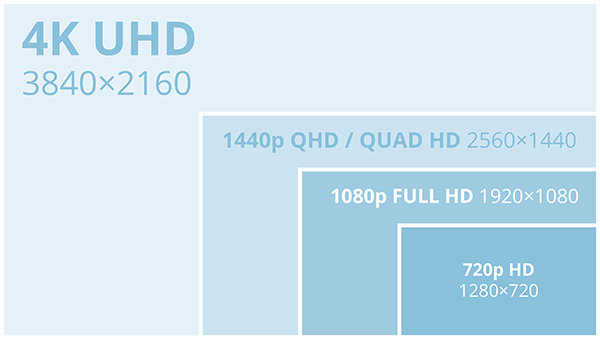 For many, QHD is a temporary step up from Full HD until 4K-supported infrastructure becomes standard. In this post, you’ll learn all about QHD: where you can see it, how it stacks up to Full HD and 4K, and how to make it work for your livestream setup. Audio is an essential component to achieving a successful live production. After all, professional-quality video is nothing without properly configured audio. 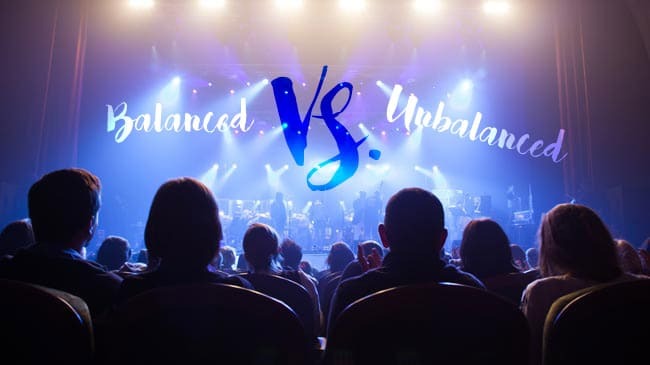 One of the most common audio-related questions we receive from customers asks us to explain the difference between balanced and unbalanced audio cables. This is an important distinction because the choice of audio cable can have a significant impact on sound quality while live streaming and/or recording your live video production. This post teaches you the the technical differences, pros and cons, and practical applications for each type of cable. 8. Are you looking for the easiest HDMI to USB converter? High-definition video sources like cameras and video game consoles are essential for creating professional livestreams. If you’re using a dedicated hardware system like Pearl-2, all you do is connect your source to one of the system’s HDMI input ports and Pearl-2’s powerful hardware will take care of the rest. However, if you choose to use encoding software instead, you’ll need to bring your video source into your computer. (And unfortunately, it’s not as easy as using an HDMI cable to connect the source to your computer!) To bring in your HDMI source, you’ll need to convert your source’s video signal into USB using an external HDMI to USB capture device. This post guides you through the process of converting your HDMI source to USB using our simple AV.io family of portable capture cards (AV.io 4K, AV.io HD, and AV.io SDI). As you can tell, we’ve been busy on the Epiphan blog in 2017! Got any topics you’d like us to cover in the blog for 2018? Let us know in the comments! 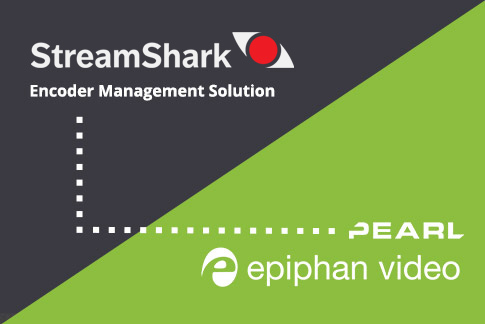 Have a happy New Year from all of us at Epiphan Video. We’ll see you in 2018!